PROGRAM: DISNEYLAND NO. 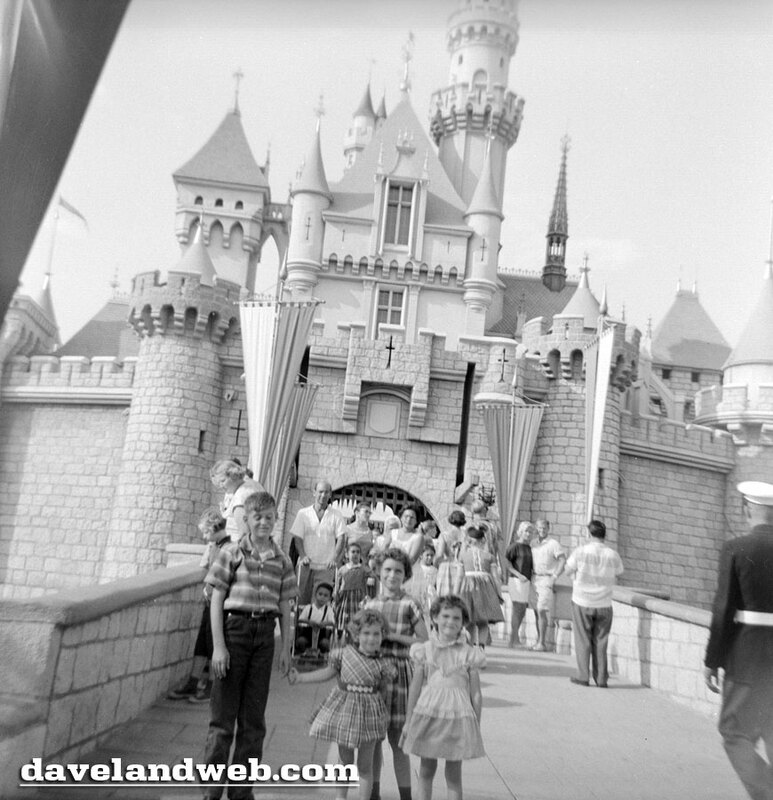 38 "FANTASYLAND - A Further Report on Disneyland and A Tribute to Mickey Mouse." 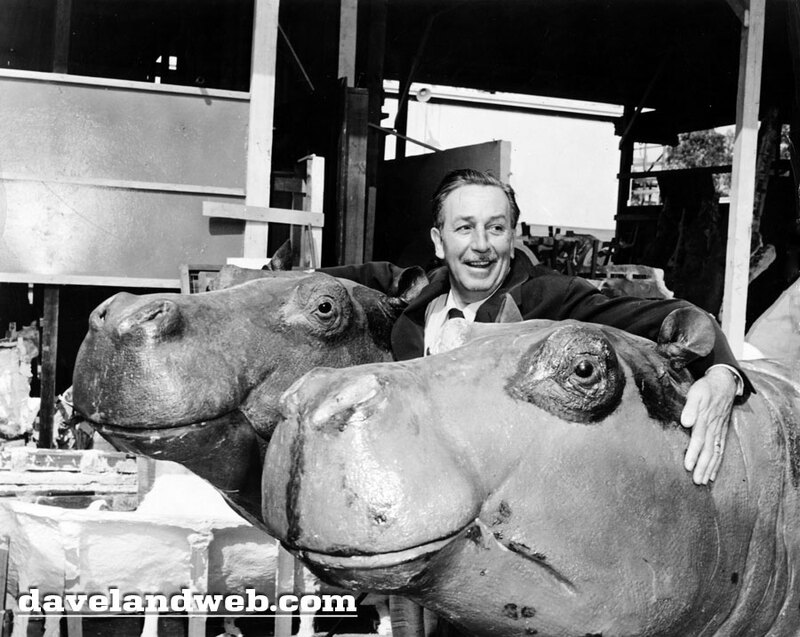 Walt Disney turns on his famous charm in an attempt to befriend a pair of half-completed life-sized mechanically animated hippos, who live in Adventureland, part of the Disneyland Park under construction in Anaheim, Calif. Follow my Daveland updates on Twitter. 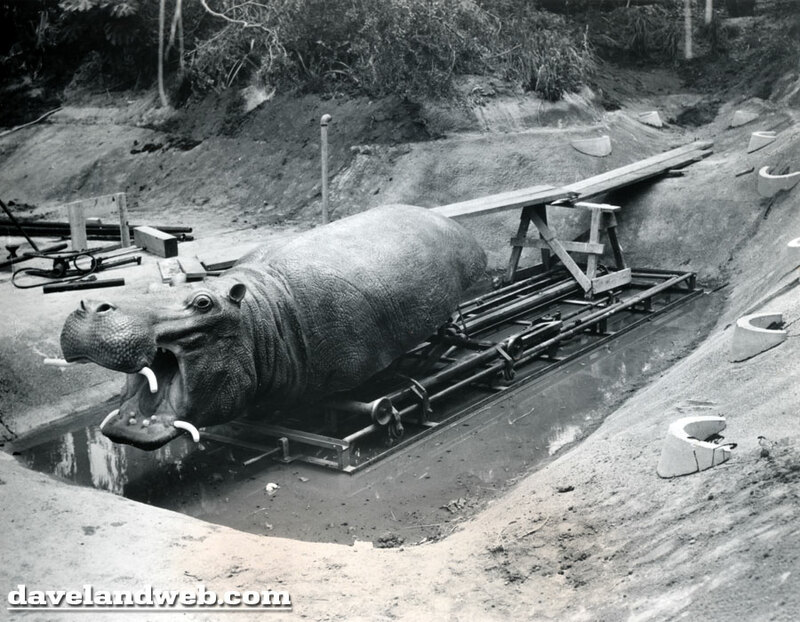 See more vintage & current Disneyland Jungle Cruise photos at my regular website. On February 17, 1961, NBC aired a show called "The Sounds of America" which was part of the Bell Telephone Hour (1959-1968). 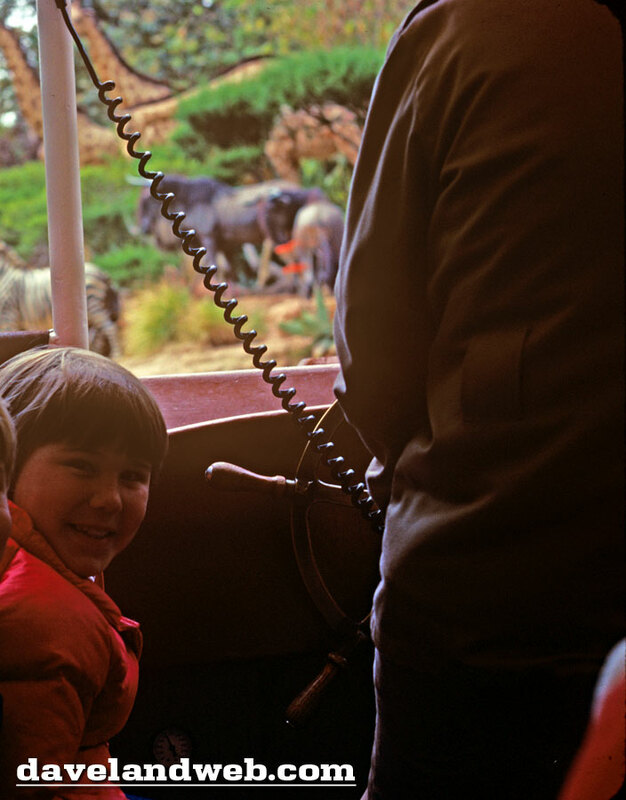 The show was about a group of children visiting Disneyland, traveling by train through Frontierland, by steamboat to hear Mark Twain (played by Dwight Marfield) spin tales of his life on the Mississippi River, and then visiting Main Street U.S.A. to hear the Disneyland Marching Band (led by Vesey Walker). Hermes Pan was the choreographer for this hour long show, and also the one who got a career started for Ruth & Jane Earl, the twins that were featured in this program. 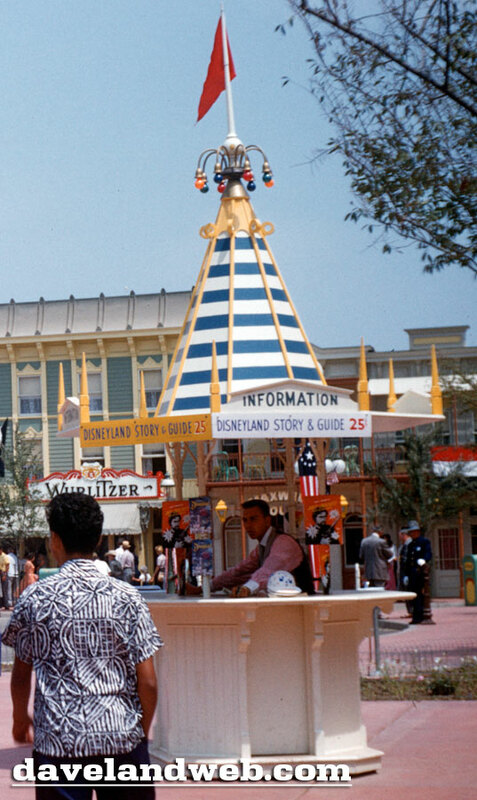 FEB. 12, 1961: The Bell Telephone Hour Friday on NBC-TV, "The Sounds of America," was taped in Disneyland. 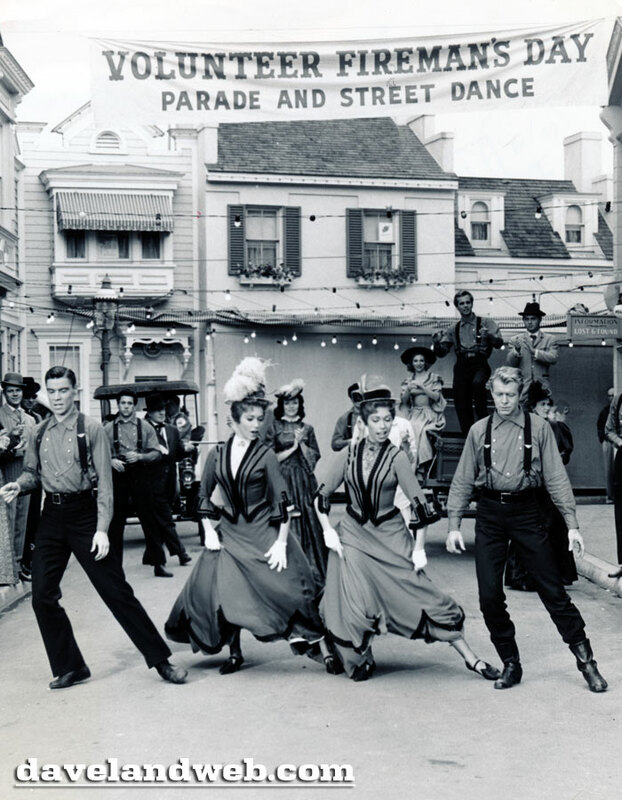 Above, Jacques D'Amboise, Ruth and Jane Earl, and Gene Nelson, left to right, dance down Main Street. Gordon Jenkins wrote the score. 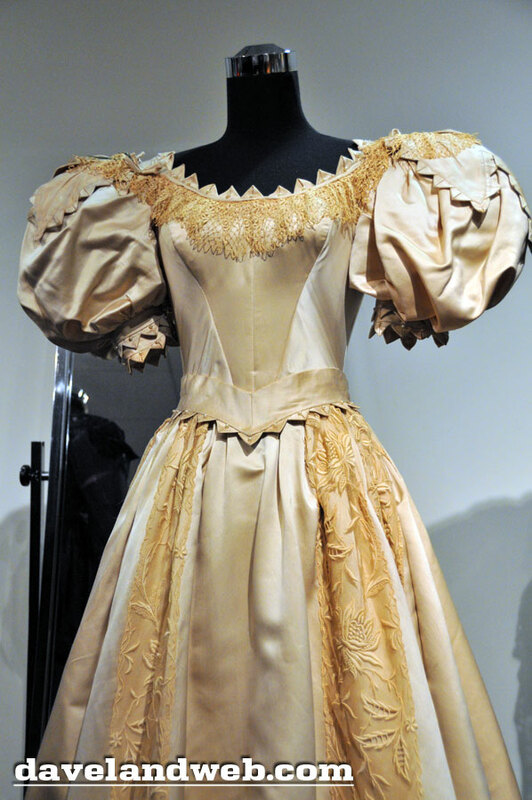 D'Amboise was a principal dancer with the New York City Ballet, where ballets were especially created for him by famous choreographer George Balanchine. He also had a number of roles in classic Hollywood musicals such as "Carousel" (1956) and "Seven Brides for Seven Brothers" (1954). Follow my Daveland updates on Twitter. 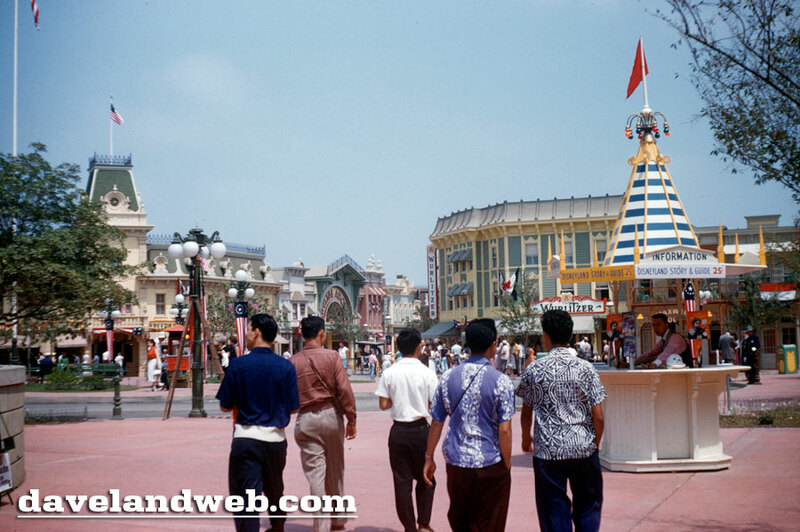 See more vintage & current Disneyland Main Street U.S.A. East Center Street photos at my regular website. 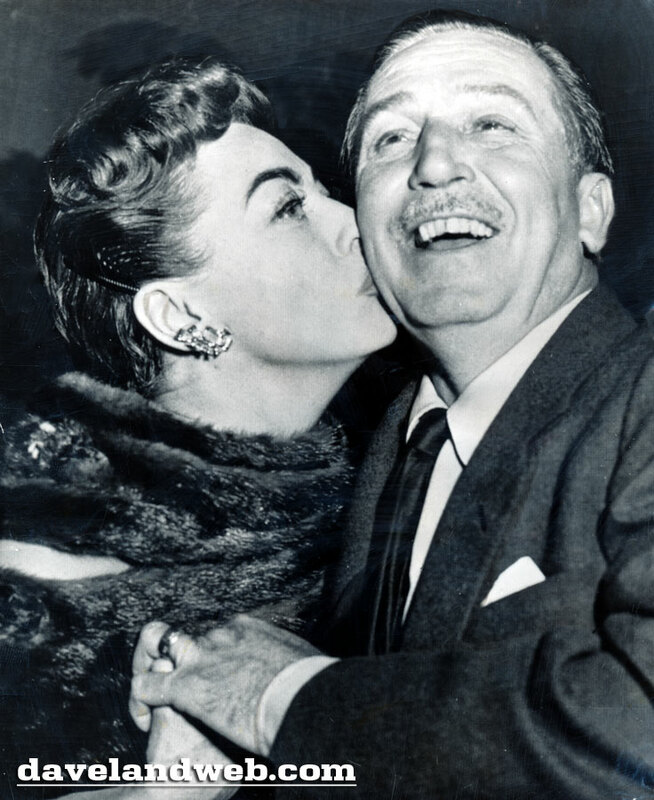 HOLLYWOOD, Feb. 13—ALL THIS AND MAYBE OSCARS, TOO—Walt Disney, a perennial winner of Academy awards, gets a kiss from Joan Crawford after his pictures were nominated for Oscars in six different categories last night. He's got chances to win for best art direction of a color production, best documentary feature, best film editing, best cartoon, best use of special effete, and best two-reel short. 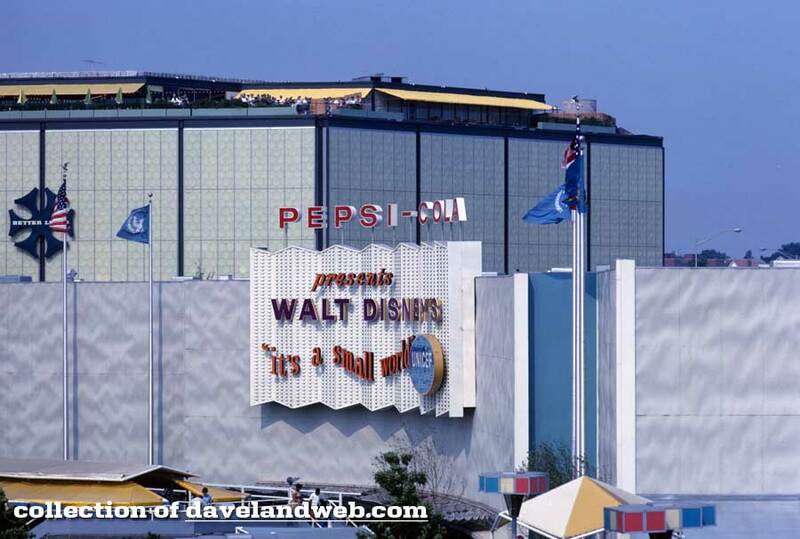 In 1963, Walt Disney and his studio were designing three pavilions for the upcoming 1964-1965 New York World's Fair—the Ford Motor Company, General Electric and the State of Illinois had all commissioned Disney to create World's Fair attractions for them. Meanwhile, the Pepsi company wanted to be a presence at the Fair, but after several design firms had failed to impress the executives with their presentations, they found themselves with no viable ideas for a Pepsi pavilion. It was now less than a year before the opening of the Fair, and they had nothing. Joan was on the board of directors (in fact I think that in 1963 she was President or Chairperson), and at this point she decided to take action herself. She knew that the Disney studio was designing three pavilions for the Fair, and it was at her suggestion that Pepsi finally approached Disney. [NOTE: Over on Mouseplanet, staff writer Wade Sampson added this information about small world, Joan Crawford, and Walt: "Pepsi executives went to California in February 1963 and met with Disneyland’s construction boss, Admiral Joe “Can Do” Fowler who had to sadly inform the executives that Disney “couldn’t do” the project since it was less than a year before the fair opening and that Disney was experiencing challenges with all the innovative things they were working on for the other three pavilions and needed to focus all their resources on those projects. Joan had heard enough. 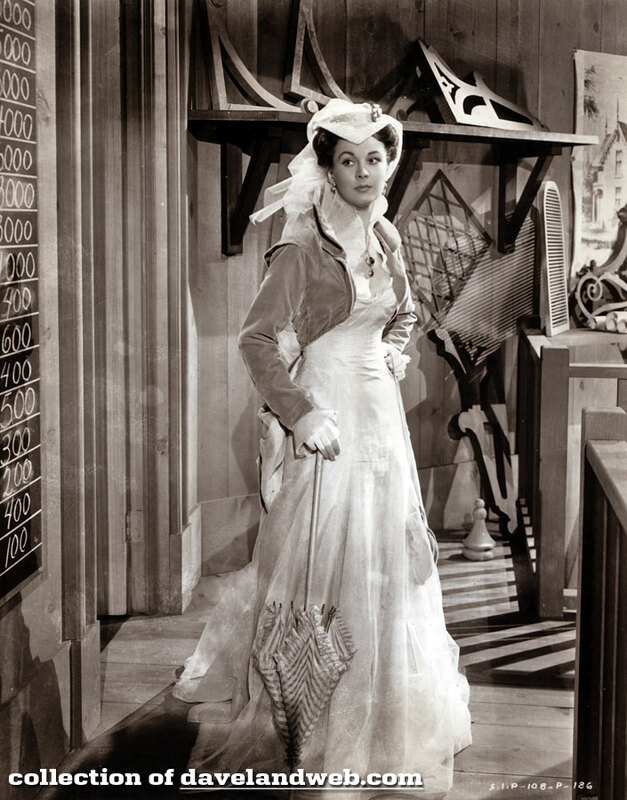 She stood up, and in her inimitable Crawford fashion she declared to everyone in the room, "We are going to do this!!!" And needless to say, they did! After the Fair—and It's A Small World—opened in 1964, it and the other Disney attractions were among the most popular at the Fair. 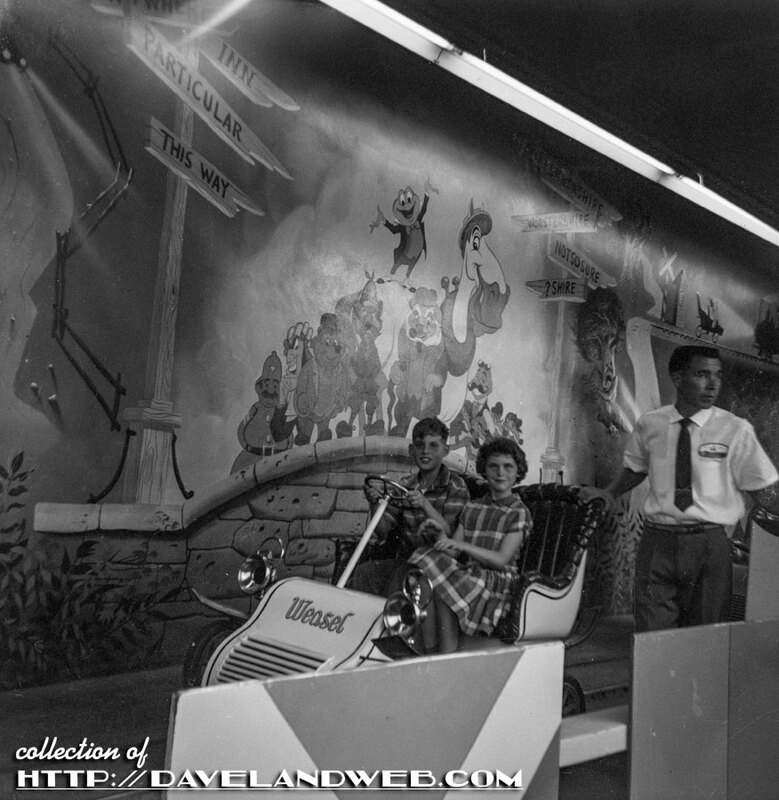 Joan loved the ride and often donated her time and PR efforts in the post-show refreshment area, helping to serve complimentary snacks and Pepsi to groups of underprivileged children. 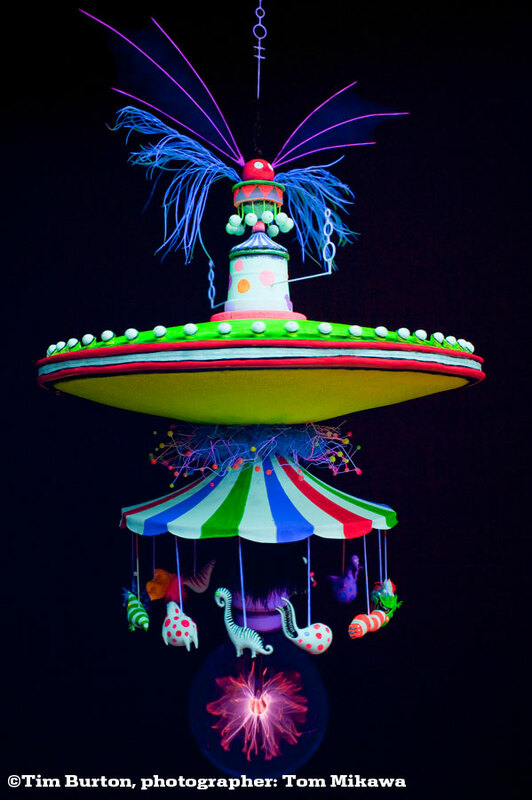 After the Fair closed, It's A Small World was transferred to Disneyland, where it remains to this day. How deliciously ironic that what many think is the most famous unfit mother was also the person most responsible for the existence of the ultimate tribute to the world's children! 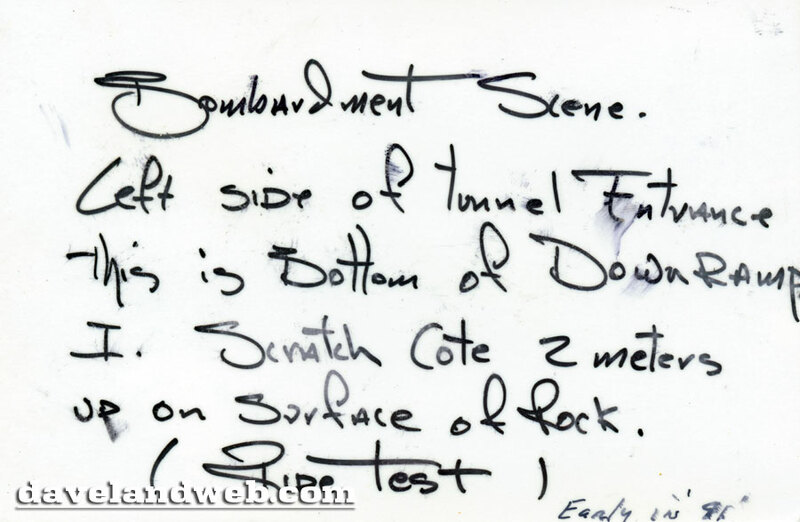 Two interesting construction shots with notations on the back; I can only assume that this collection came from someone who actually worked on the project, as the notes are fairly technical in construction jargon. I will also assume these are for Pirates of the Caribbean. 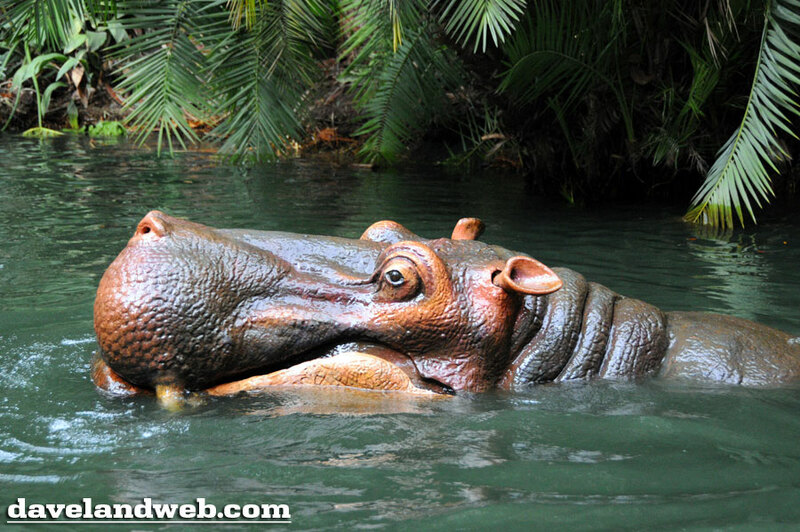 Disney has always combined imagination with original and innovative ideas. 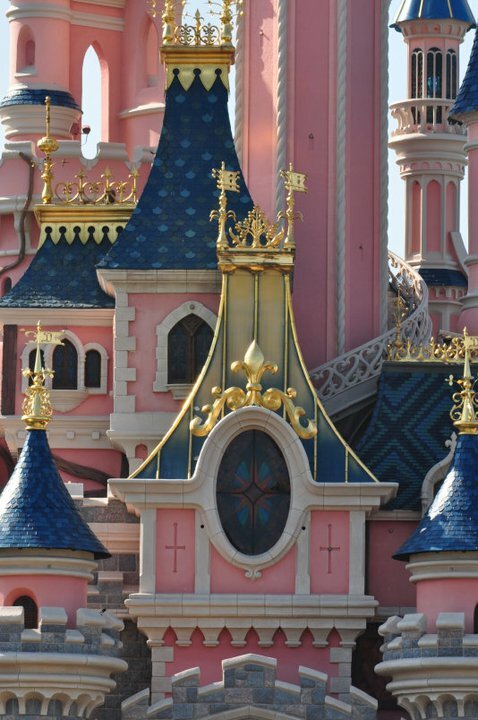 As technology becomes more advanced, many new features have been added to the Paris Disneyland Resort to enhance the Disney experience. 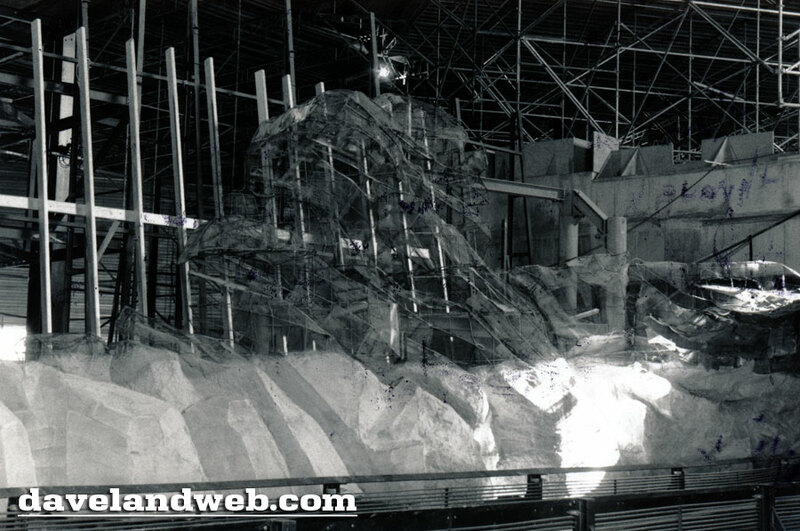 New creations are integral to the development of Disney, who have perfected over 100 technological patents, which include special effects, ride systems and interactive technology. For example, the Twilight Zone Tower of Terror uses gravity-defying technology to plunge guests 13 floors from the top of an elevator shaft, while the Stitch Live! 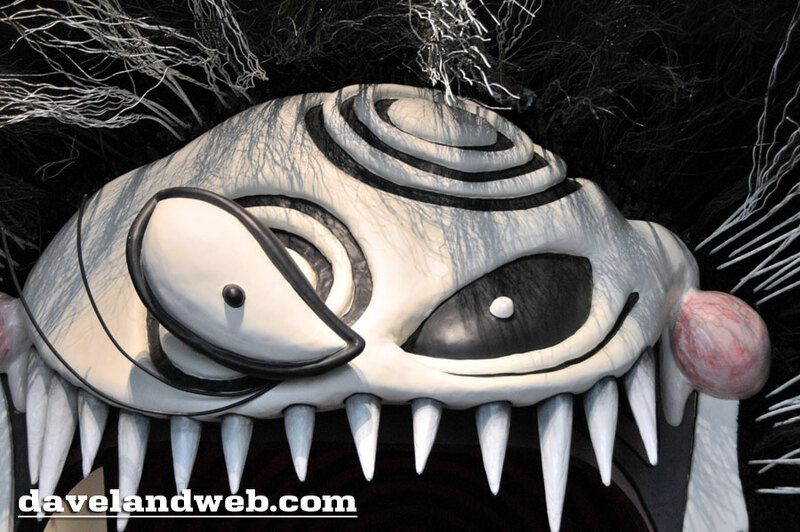 show uses ‘real time’ animation technology to allow guests to interact and talk with an animated Stitch. Disneyland Paris became the first theme park in the world to be visible with Google Street View, taking over 85,000 photos for the project. Disney fans are able to use Google Earth to zoom into the park from the comfort of their own homes and enjoy 360˚ street-level pictures to see every magical detail. A great way to plan your trip, step by step! Bluetooth technology was introduced to the Walt Disney Studios Park in 2008. Guests were able to pick up a Bluetooth signal for free at certain points to find out show times and the length of waiting lines. Flashcode technology or QR Codes – a 2D barcode that users can take a picture of on their phone to connect to a mobile website – were introduced a year later. Visitors can scan these codes on signs, menus and even screens to find out all sorts of information. 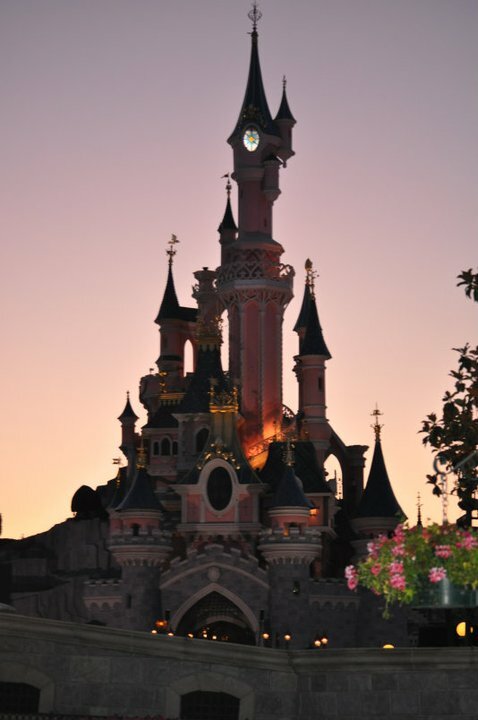 As technology continues to develop, tourists on Disneyland Paris holidays are now able to download a free iPhone application. It’s the first Disney Park to have such an app, which helps guests customise their visit and optimise their time with tonnes of information available, from admission rates and recommended itineraries to videos of the latest attractions. An interactive map is also accessible, which pinpoints your exact location in the park, via GPS. Disney continually finds the courage to try new things by pushing the boundaries of technology to benefit its guests. I can’t wait to see what they introduce next. 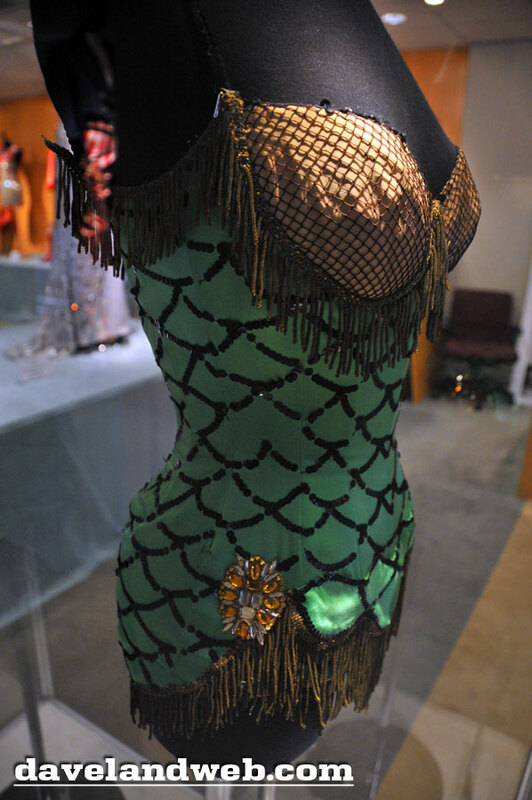 After having missed seeing the first installment of Debbie Reynolds' Hollywood Memorabilia Collection in person, I decided I better not let that happen again. 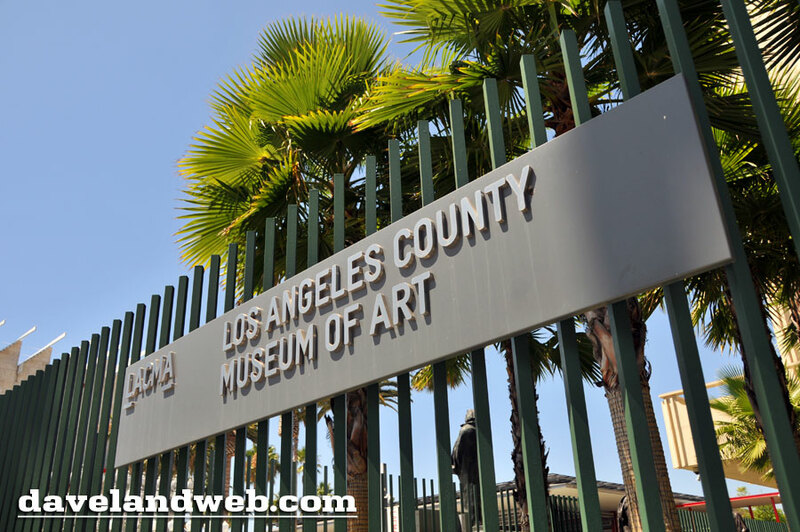 After checking out the Tim Burton exhibit at LACMA, I headed over to Beverly Hills to the Paley Media Center to see what Debbie had left to sell. I will admit I was a little disappointed...and even more bummed that I missed the first batch. 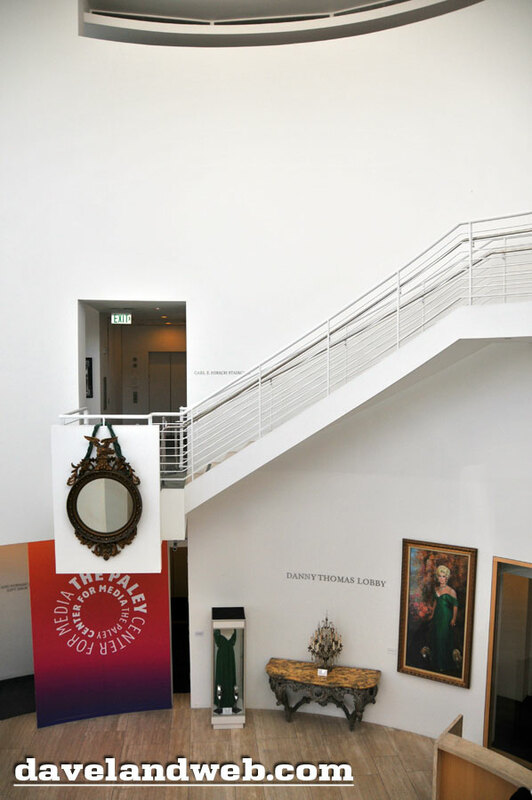 This was the first time I'd been inside the Paley Center, where a painting of Eva Gabor greets visitors to the lobby. 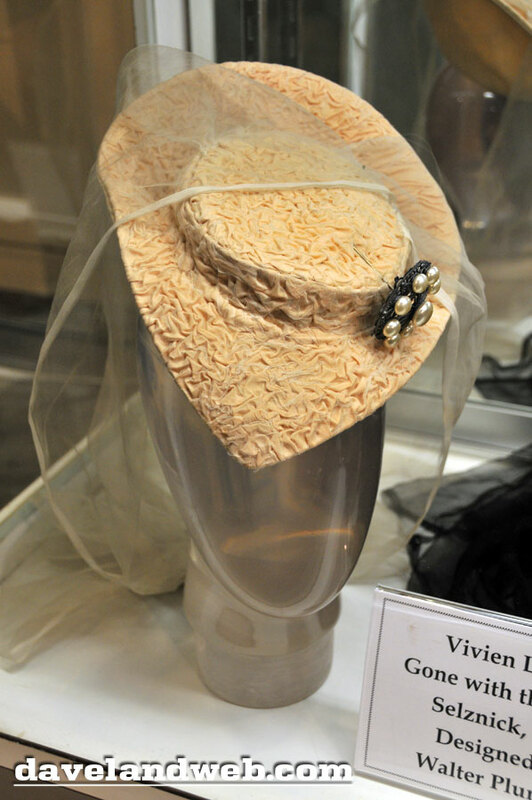 This lacy hat that has yellowed over the years was also worn by Vivien Leigh in "Gone With the Wind," in the scene where she is caught in an embrace with Ashley (Leslie Howard) at the sawmill. 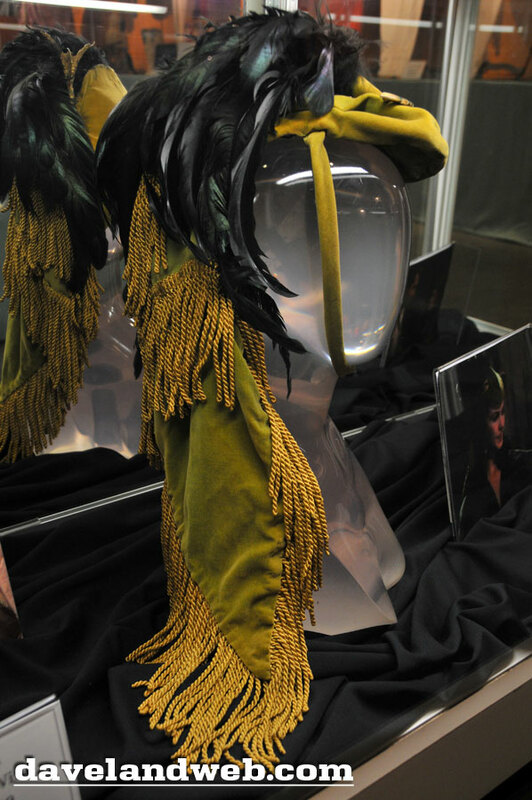 The exhibit itself is very well done; photos or constantly looping film clips accompany each outfit so that you can see it in its cinematic context. In all fairness, new costumes and props are still being added over the next few months, but part 2 still does not begin to compare to its predecessor. Follow my Daveland updates on Twitter. 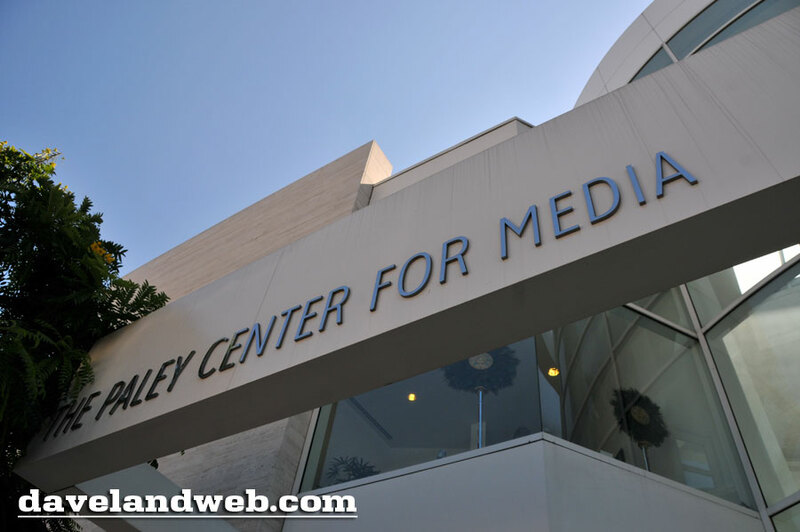 To see more Paley Center for Media Debbie Reynolds collection photos, visit my regular website. 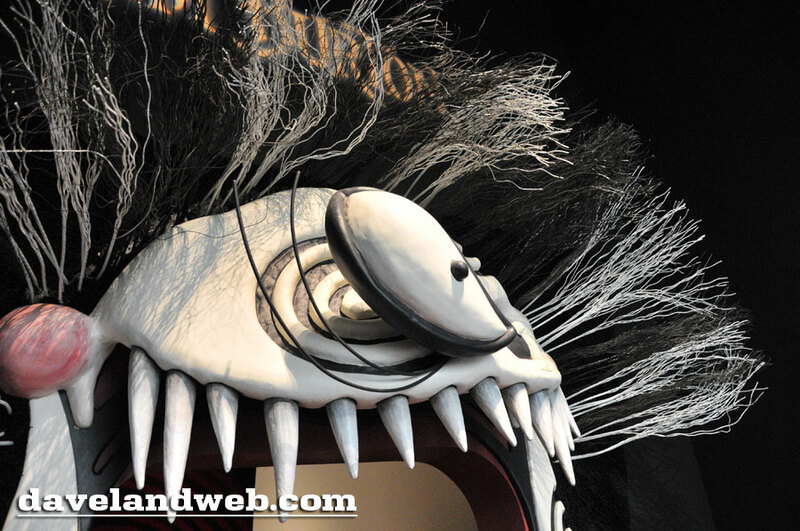 These 3 images are from the same batch as the one of the Mr. Toad attraction from Wednesday. 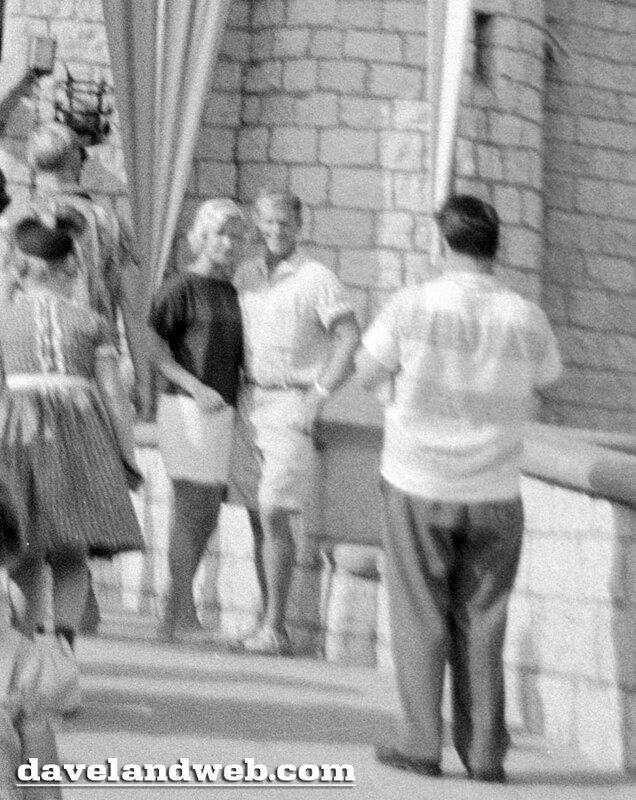 The shot of the Castle isn't that extraordinary, but I do love zooming in and seeing a couple having their photo taken. Wonder where that picture is now? 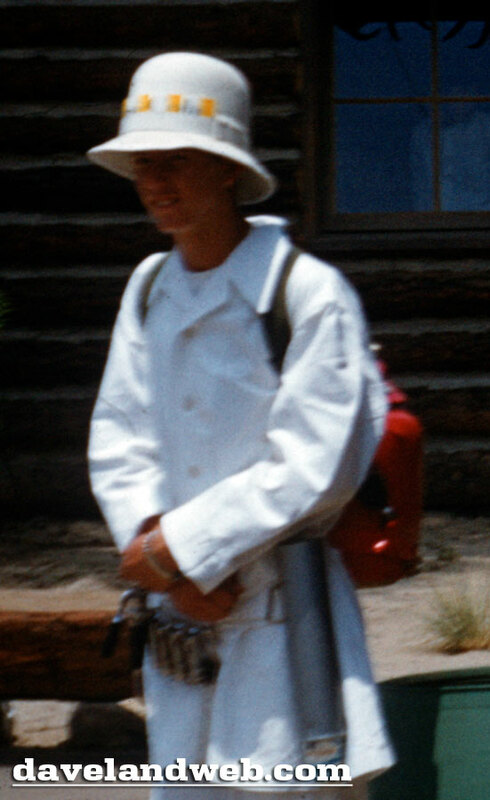 Although these images are undated, I can say that they are from June 1958 to early 1959. As HBG2 was the first to point out, Snow Hill in the background and lack of a Matterhorn mountain signifies that they fall into that time period. The sunlight aimed right at the camera pretty much ruined this one, but I thought I'd post it anyway. 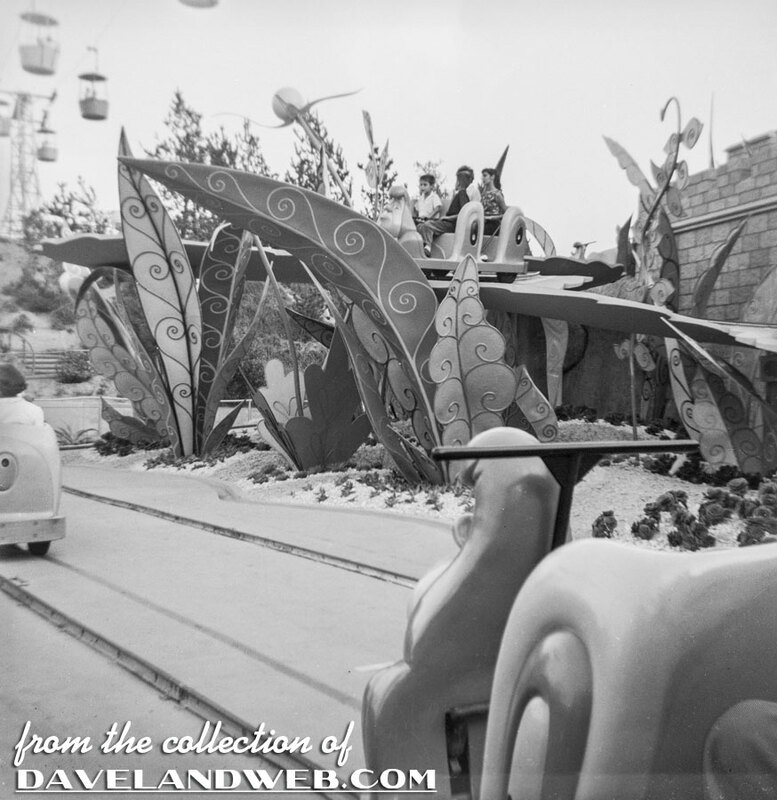 See more vintage & current Disneyland Mr. Toad photos at my regular website. 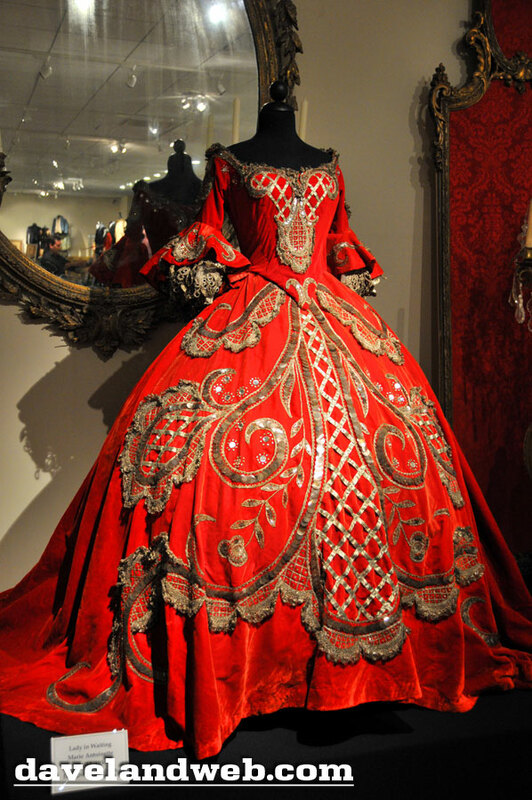 Have you ever gotten excited about an exhibit at a museum? You can't wait to see the art by the "star" of the show, but when you get to the show, there are only a handful of pieces by the artist, and the rest is filler. 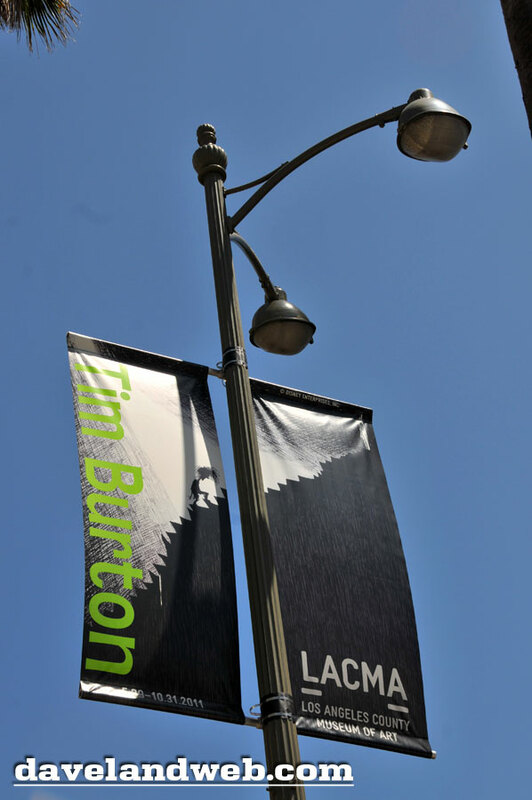 I can assure you that the Tim Burton exhibit at LACMA is not THAT show! First off, I will admit that I actually paid attention to security and kept my camera in the bag this time. Although there was plenty that I would have loved to shoot, I decided to be respectful (for once). 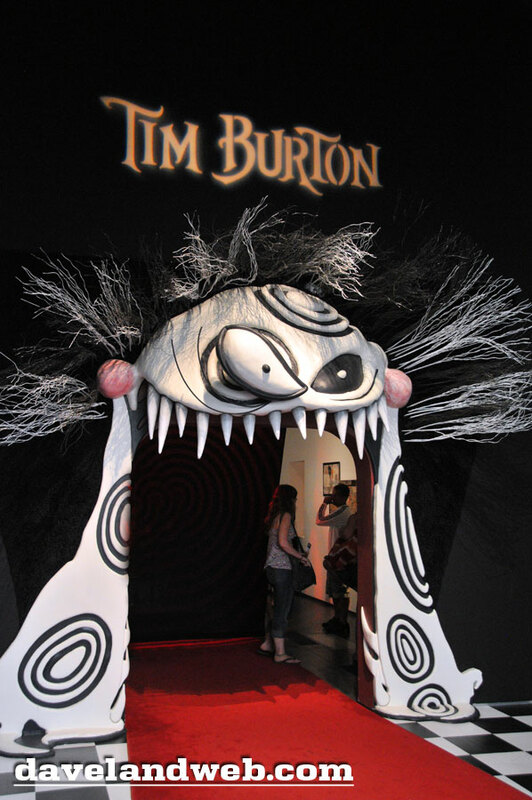 There was room after room after room of Tim Burton's drawings, sketches, paintings, movie props, costumes, and photographs. This exhibit was exhaustively complete. 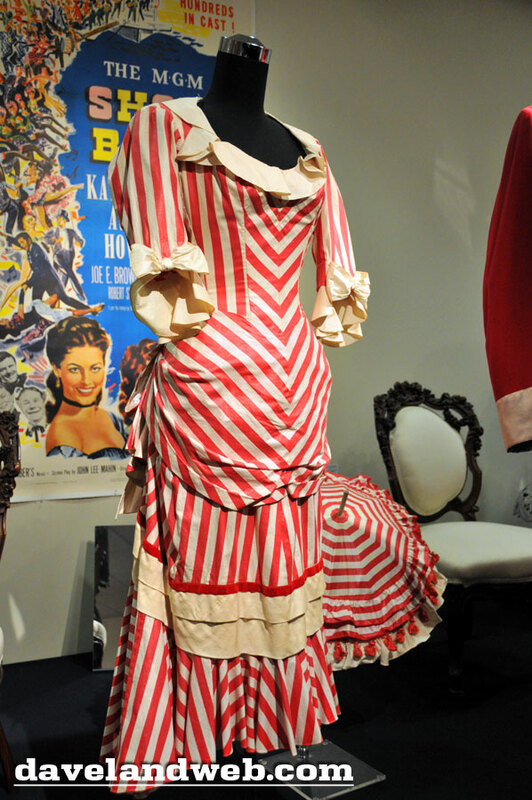 In addition, there were samples of Burton's work that dated back to his childhood. I always wondered where this guy got some of his crazy ideas from, and now I know: Mad Magazine. 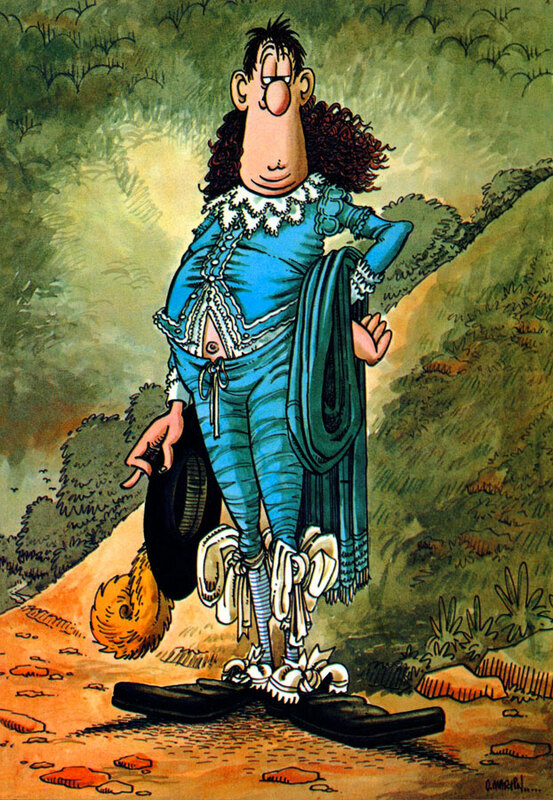 You can even see in a number of early cartoons that he did that Burton loved Don Martin and the other wacky artists that made Mad Magazine of yesteryear such a hit for young kids. I used to buy Mad Magazine just to see Martin's work. 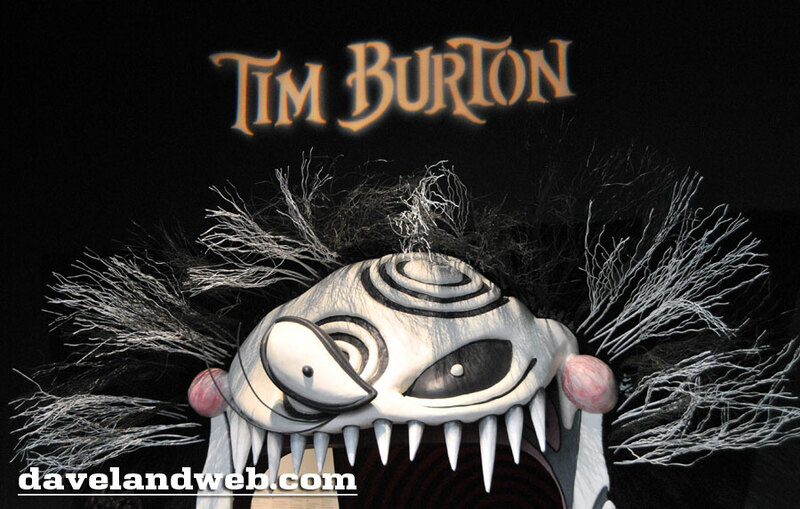 Now I see why I have loved Tim Burton's wacky sense of humor. He not only likes to look at the dark side of life, he also loves the comedy and laughter. 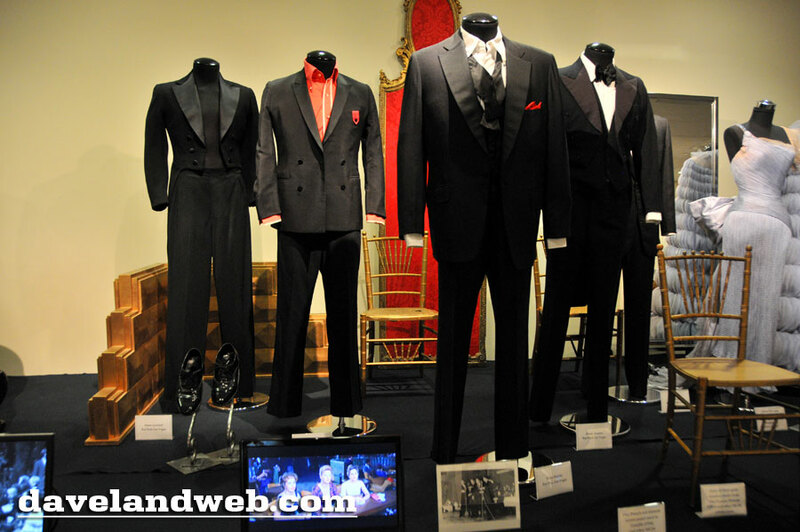 Here are some shots of the entrance to the exhibit. Just in case you weren't sure what was inside, this should give you a huge clue. I will warn you, that even though the show is open until 10/31, crowds were huge the day I went. DO NOT WAIT UNTIL THE LAST MINUTE TO SEE THIS! 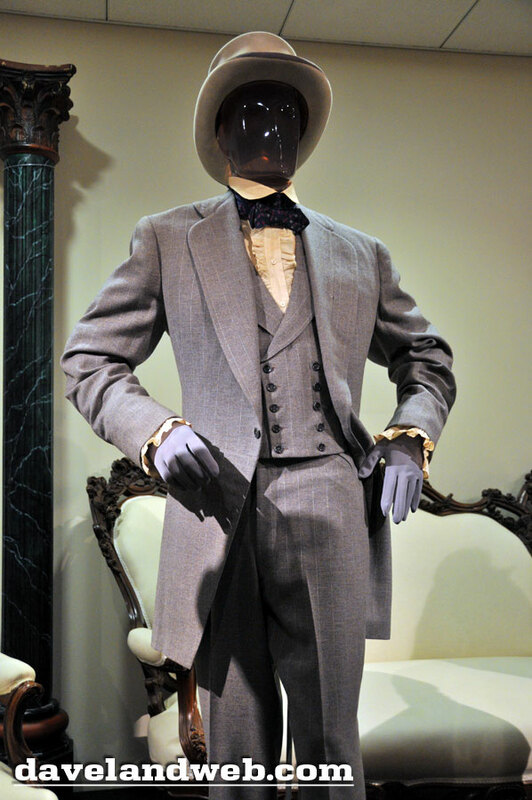 If you're a Pee Wee Herman nut, the actual eyeballs used in the Large Marge sequence of "Pee Wee's Big Adventure" are also part of this exhibit. They may not be high art, but damn if they aren't an important piece of pop culture! Click on the photo to see the clip from the movie. 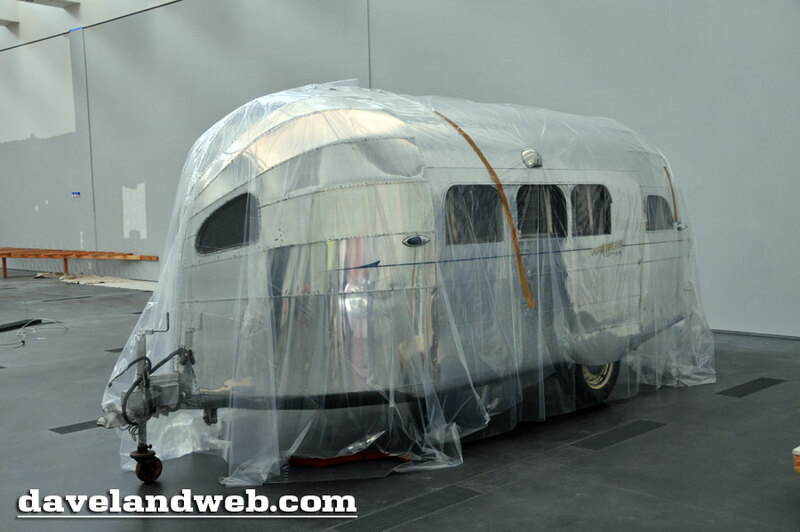 Not sure if this is a tantalizing glimpse of an upcoming exhibit or what, but it looks mighty cool to me! Follow my Daveland updates on Twitter. 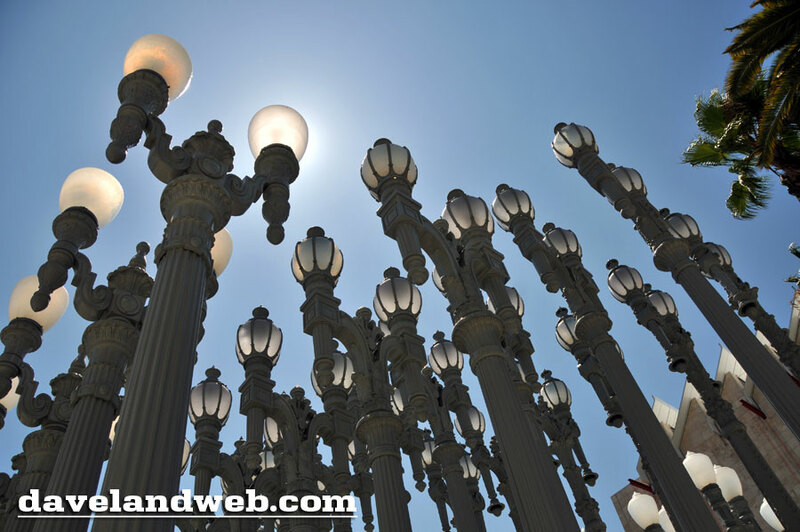 See more LACMA photos at my regular website. 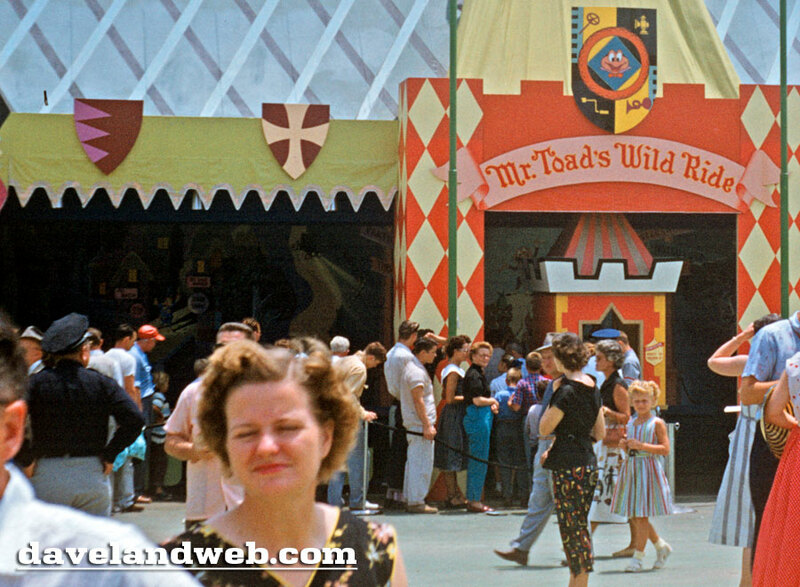 The last slide from this 1955 batch shows the façade of Mr. Toad's Wild Ride attraction. Using this as a transition to the next batch of images, this 1960's BW negative yielded this clear view of young guests awaiting their next trip to Hell! Follow my Daveland updates on Twitter. 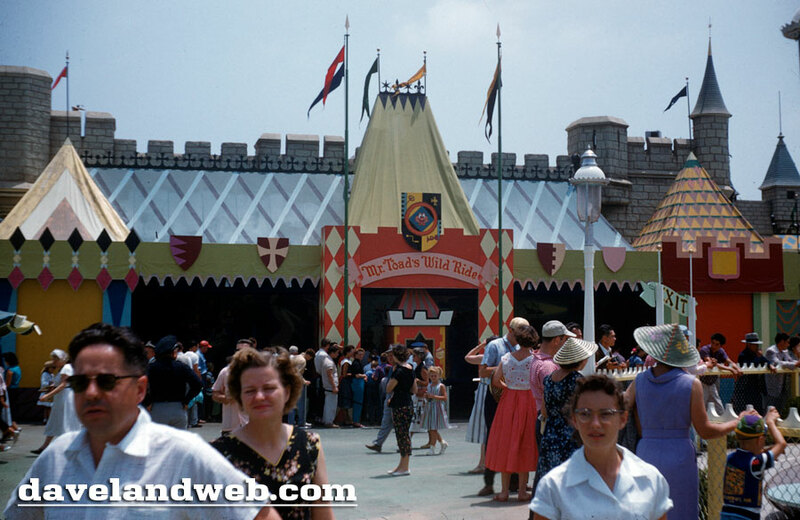 See more vintage & current Disneyland Mr. Toad photos at my regular website. This slide is my favorite of the batch. 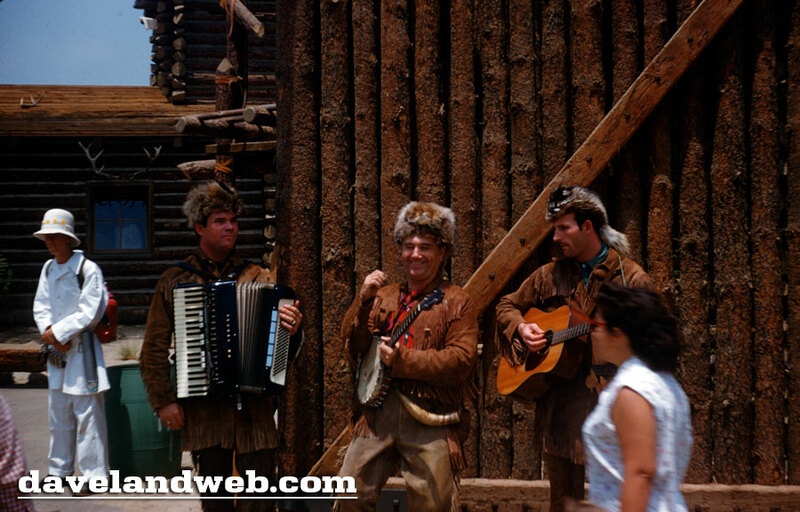 I am totally unfamiliar with this Frontierland trio of musicians who look like they stepped out of a Davy Crockett movie. Whoever they are, they sure look as if they haven't a care in the world. 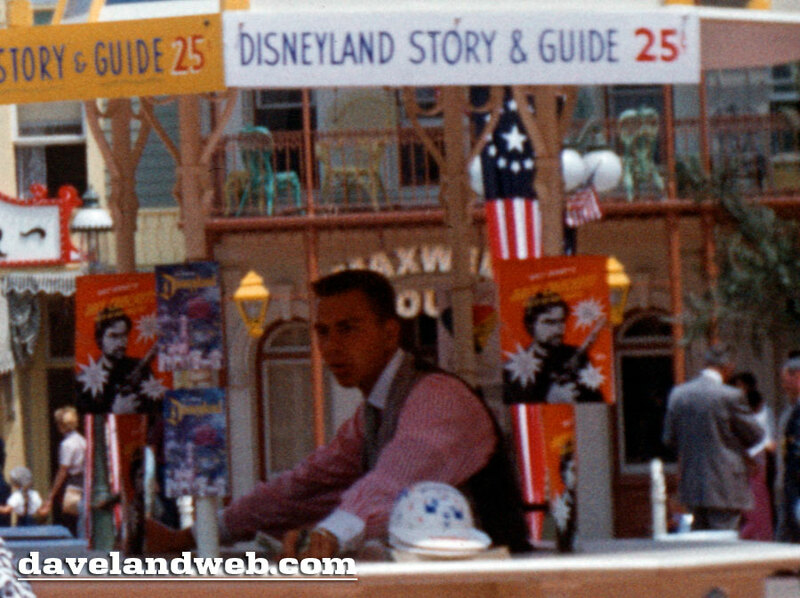 Zooming in, it appears that the White Wing on the left side of the photo has some kind of Rube Goldberg water contraption on his back, complete with Disneyland paper cups to dispense. Were these for him or for randomly thirsty guests? If so, what a cool idea of great customer service! 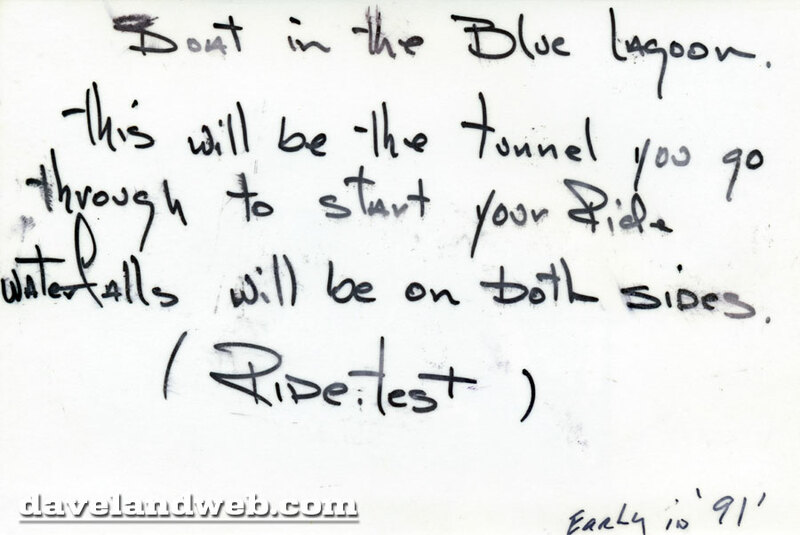 Meanwhile, Disney/Pixar is having a contest where those who find a shot of John Lasseter as a Jungle Cruise Skipper from 1977 can win an opportunity to preview Cars Land. 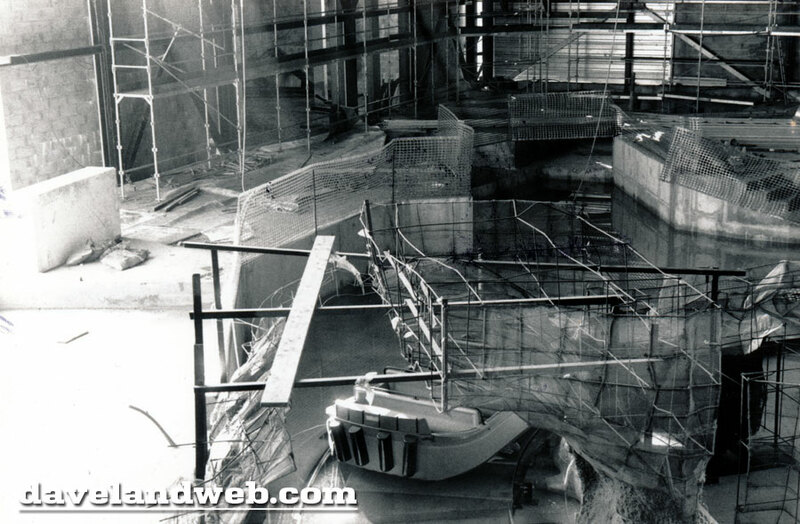 This shot in my collection is from April 1977 and I am positive that it must be Lasseter; what do you think? Somebody must be able to help me ID this. To quote Eve Arden from "Grease":"We have experts at this type of identification!" Follow my Daveland updates on Twitter. 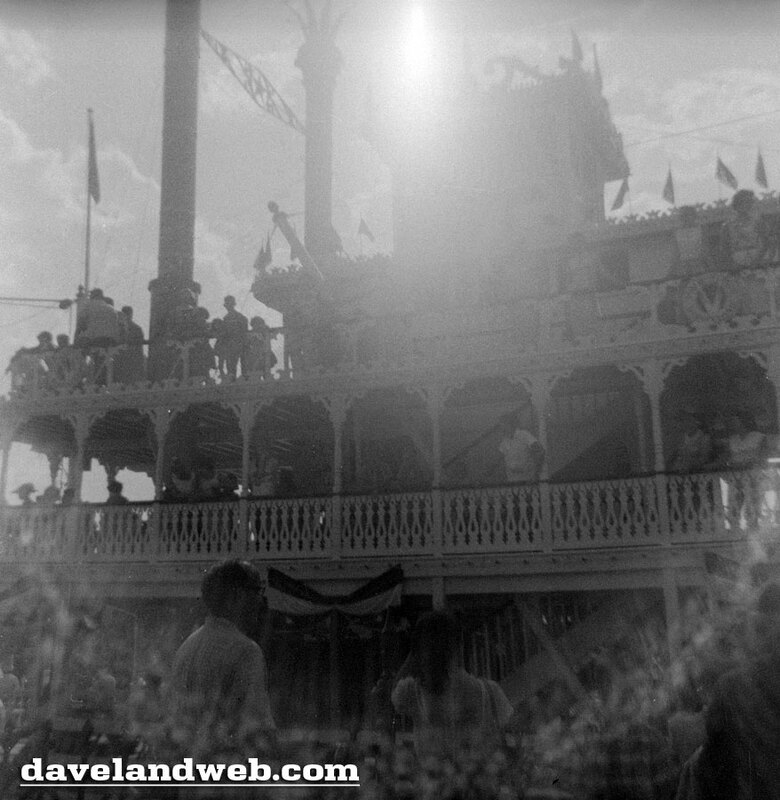 See more vintage & current Disneyland Frontierland photos at my regular website. 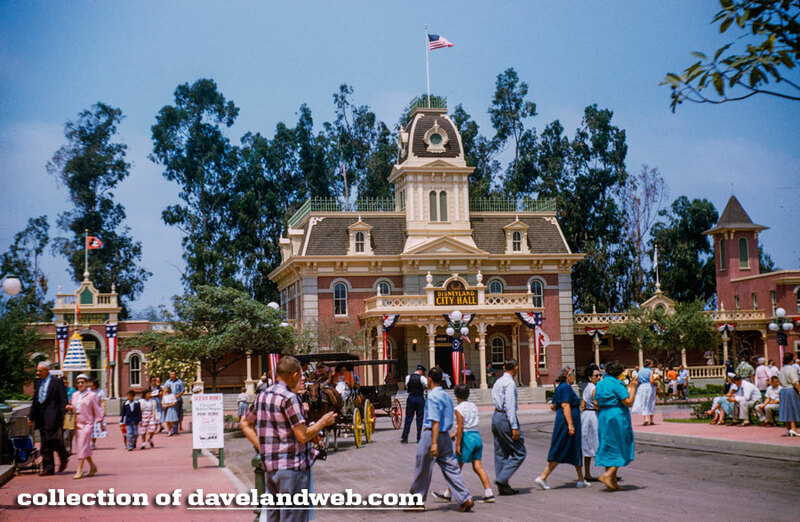 Labels: disneyland photos, Frontierland, Lasseter. 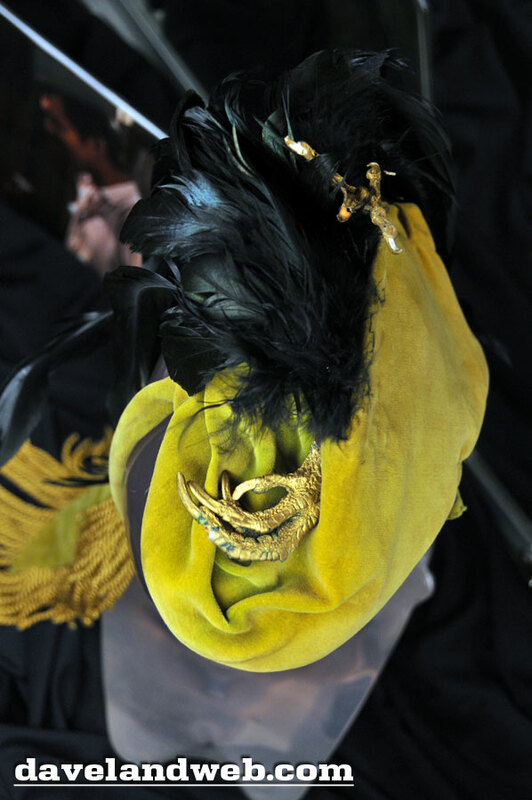 Slides that are unstamped are a pain in my arse; they make me have to think and pull out my Sherlock Holmes hat. This batch wasn't stamped, but somebody had written Disneyland 6/55 on them. Considering the park opened in July, this is obviously not correct. However, I do believe the year is correct. In this first Town Square shot, the chicken wire around the young planting, year one guidebook, and the heavy push of Davy Crockett souvenirs are pretty good clues. This Town Square shot focuses on City Hall, draped in patriotic bunting, a happy annual Disneyland tradition. Follow my Daveland updates on Twitter. 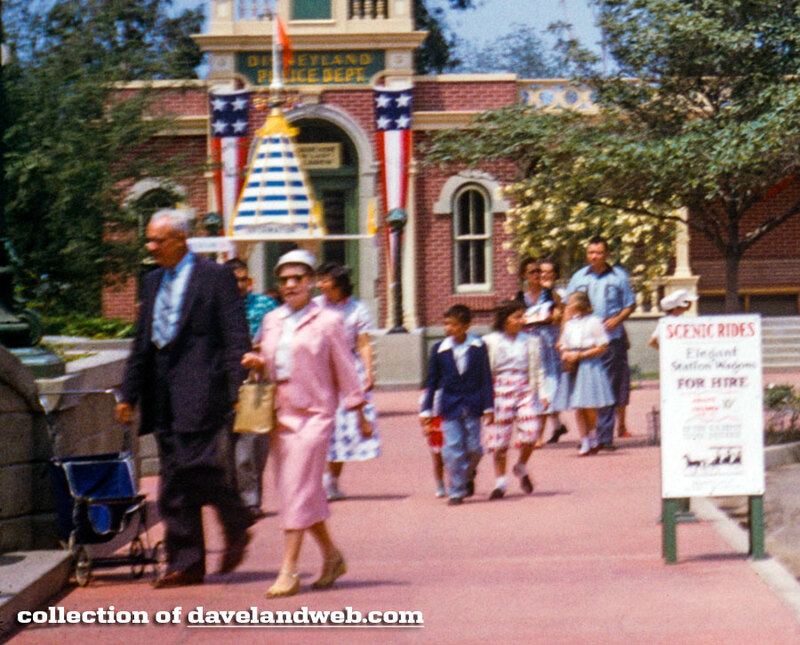 See more vintage & current Disneyland Town Square photos at my regular website. Screen Gem Saturdays: Happy 100th Birthday, Lucy!